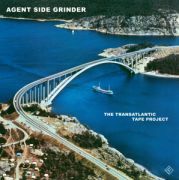 The true experimental side of Agent Side Grinder is shown in ‘The Transatlantic Tape Project’. This project started as a way to keep working together while one of the members was in the USA. Sounds and music where put to tape and send over the Atlantic Ocean and re-worked their and sent back again to Sweden. 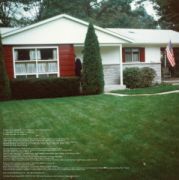 This is still an ongoing project. Right now (October 2009) the visual part is being realized. In the near future we hope to present a special performance around this project.